Scientific visualization, sometimes referred to as visual data analysis, uses the graphical representation of data as a means of gaining understanding and insight into the data. Scientific visualization research at SCI has focused on applications spanning computational fluid dynamics, medical imaging and analysis, and fire simulations. Research involves novel algorithm development to building tools and systems that assist in the comprehension of massive amounts of scientific data. 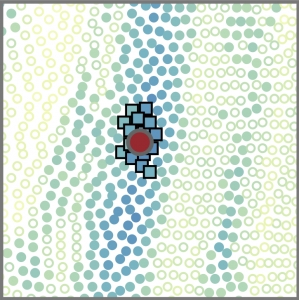 In helping researchers to comprehend spatial and temporal relationships between data, interactive techniques provide better cues than noninteractive techniques; therefore, much of scientific visualization research focuses on better methods for visualization and rendering at interactive rates.